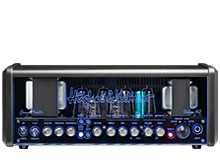 I began appreciating the tones out of Hughes & Kettner amps at one of my first jobs working at a music store. 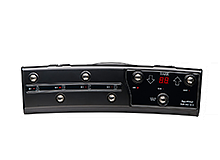 The GrandMeister Deluxe 40 is such a versatile creation, with four gain channels and extremely responsive EQ options. I love the wattage control, so that I can tame it for recording at my place to cranking it up on stage. 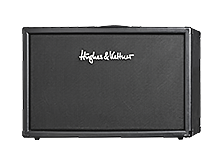 The built-in effects and boost are great, and the best part is that this tube amp is the perfect size to travel with! Brittany Denaro (Britt Lightning) is lead guitarist for the band Vixen, the all-female hard rock band from the 80s that sold over a millions albums. Britt has also performed for 18-time Grammy Award winning artist Alejandro Sanz on his stadium-level world tour, Rachel Platten with her top charting pop hit Fight Song, Jason Derulo, the musical Chix6, her own metal band Jaded and more. Britt is a seasoned touring musician and has performed on stages worldwide as well as playing on various national and international television programs such as Good Morning America, Live With Kelly And Michael, VH1, Nickelodeon, America's Got Talent and more.